SurfSecret CD Rip & Burn is a complete software application which allows you to burn and rip CD's with a click of a mouse. Burn Audio CDs and data CDs, copy CDs, Rip Audio CDs, and convert files to/from WAV, OGG, MP3, MP2, Real Audio, Vorbis, WMV, AVI, VQF, Monkey Audio, Atrac3, and more. iMacsoft Audio Maker is professional audio converter, CD to audio ripper and music CD burner software to convert audio files, burn Audio/MP3/WMA CD and rip Audio CD to audio files easily and fast. Burns your own custom audio CD, rip sound tracks from CD to disk, Convert mp3 to wave files or wave to mp3 files. . Audio tools for maximizing sound quality with eight restoration functions and many other features. Use it to record from any audio source. Clean up audio files with the most troublesome problems. 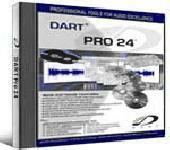 Includes DART CD-Recorder CD rip and burn software. Express Rip is a program for Windows that lets you extract digital audio tracks directly from audio CDs to either Wave (wav) or MPEG Layer-3 (mp3) files on your harddrive. MP3 CD Ripper Pro allows you to rip your audio CD tracks to MP3, WAV, WMA, OGG, FLAC, APE and convert audio files in different formats. It also supports free CDDB, ID3 tag and sound normalization. Express Rip is a program for Windows that lets you extract digital audio tracks directly from audio CDs to either Wave (wav) or MPEG Layer-3 (mp3) files on your hard drive. ImTOO CD Ripper is capable of ripping CD to MP3, WMA, WAV, AAC, FLAC, OGG, APE and many other audio formats, enabling you to play CDs on different music players. It can transfer music files to iPod/iPhone/PSP directly after ripping. 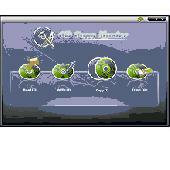 An easy to use CD ripper software allows you to extract audio CD and convert to MP3, WAV, OGG, WMA format. Normalize the output files and supports additional LAME options.You can record to MP3 with your microphone.Converts WAV to MP3,OGG,WMA format. Rip CDs, convert MP3, FLAC, OGG, APE, tag and rename your music files and directories, edit and split CUE sheets, import album info from FreeDB, create playlists, create and verify SFV and MD5's, and more. Rip CDs, convert MP3, AAC/M4A, FLAC, APE, MPC, OGG, WMA, WV, TTA, SHN, or OFR. Tag and rename your music files and directories using a highly customizable profile. Other features include: mass tag and rename, editting and splitting CUE sheets, importing album info from FreeDB, creating playlists for albums, creating and verifying SFV/MD5 verification files, and lots more! Magic Burning Toolbox is an all-sided music/video burning tool for disc creation and backup. It provides music CD burning to create stylish audio CD or rip the music CD tracks; movie DVD as well as data disc can be easily burned. CD to MP3 RM Ripper is a extremely ease-to-use tool that converts audio CD tracks to audio format MP3, RM, WAV, WMA and OGG. It digitally copies the audio with excellent output quality and fast-speed. Supports FreeDB and tag-edit function. Freemore CD Burner Ripper is a powerful and easy to use CD creation and backup application that combines CD Burner, CD Ripper and some other useful disc tools in one program. It supports popular audio formats (MP3, WAV, WMA & OGG) to burn audio CD. 10 smooth-in-use and handy applications for audio processing! Record audio, burn and create audio and MP3 CDs, rip and exact-copy audio discs, mix your own music, create and upload your own ringtones, record iRadio, convert audio. Powerful conversion among nearly all conceivable audio formats (CD, MP3, WMA, WAV, OGG, MP2, VOX, GSM, DSP, A-LAW, u-LAW, etc.) with ease! Full FreeDB/CDDB2 support, configurable CDDB auto-save filenames and path creation, CD playback and much more!